Galileo's Dialogue Concerning the Two Chief World Systems is a mine of information for anyone interested in the cultural history of the Western world and its influence upon economic and political development. (...) To begin with, the Dialogue gives an extremely lively and persuasive exposition of the then prevailing views on the structure of the cosmos in the large. The naïve picture of the earth as a flat disc, combined with obscure ideas about star-filled space and the motions of the celestial bodies, prevalent in the early Middle Ages, represented a deterioration of the much earlier conceptions of the Greeks, and in particular of Aristotle’s ideas and Ptolemy’s consistent spatial concept of the celestial bodies and their motions. (...) In advocating and fighting for the Copernican theory Galileo was not only motivated by a striving to simplify the representation of the celestial motions. His aim was to substitute for a petrified and barren system of ideas the unbiased and strenuous quest for a deeper and more consistent comprehension of the physical and astronomical facts. (...) It is difficult to us today to appreciate the imaginative power made manifest in the precise formulation of the concept of acceleration and in the recognition of its physical significance. (...) Galileo takes great pains to demonstrate that the hypothesis of the rotation and revolution of the earth is not refuted by the fact that we do not observe any mechanical effects of these motions. Strictly speaking, such a demonstration was impossible because a complete theory of mechanics was lacking. I think it is just in the struggle with this problem that Galileo’s originality is demonstrated with particular force. Galileo is, of course, also concerned to show that the fixed stars are too remote for parallaxes produced by the yearly motion of the earth to be detectable with the measuring instruments of his time. This investigation also is ingenious, notwithstanding its primitiveness. It has often been maintained that Galileo became the father of modern science by replacing the speculative, deductive method with the empirical, experimental method. I believe, however, that this interpretation would not stand close scrutiny. 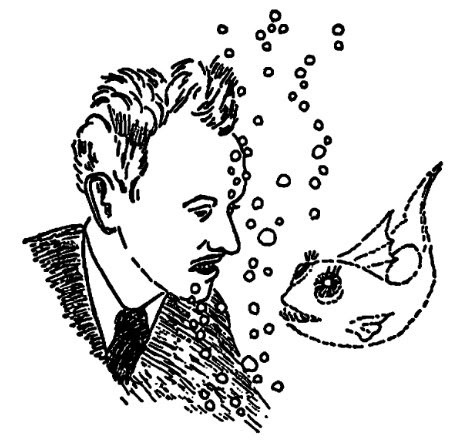 There is no empirical method without speculative concepts and systems; and there is no speculative thinking whose concepts do not reveal, on closer investigation, the empirical material from which they stem. 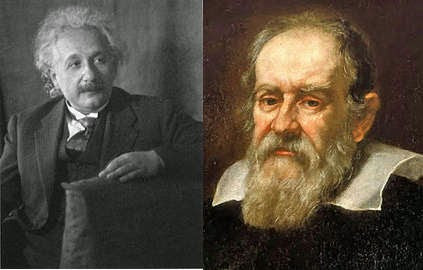 To put into sharp contrast the empirical and the deductive attitude is misleading, and was entirely foreign to Galileo. Actually it was not until the nineteenth century that logical (mathematical) systems whose structures were completely independent of any empirical content had been cleanly extracted. Moreover, the experimental methods at Galileo’s disposal were so imperfect that only the boldest speculation could possibly bridge the gaps between the empirical data. (For example, there existed no means to measure times shorter than a second). The antithesis Empiricism vs. Rationalism does not appear as a controversial point in Galileo’s work. Galileo opposes the deductive methods of Aristotle and his adherents only when he considers their premises arbitrary or untenable, and he does not rebuke his opponents for the mere fact of using deductive methods. In the first dialogue, he emphasizes in several passages that according to Aristotle, too, even the most plausible deduction must be put aside if it is incompatible with empirical findings. And on the other hand, Galileo himself makes considerable use of logical deduction. His endeavors are not so much directed at "factual knowledge" as at "comprehension". But to comprehend is essentially to draw conclusions from an already accepted logical system. About the italian physicist, Galileo Galilei and the impossible biomechanics of giants is an interesting reading.